Another research study has revealed that regular exercise, in this instance in the form of having a physically demanding job, can contribute to a lower likelihood of being diagnosed with prostate cancer. 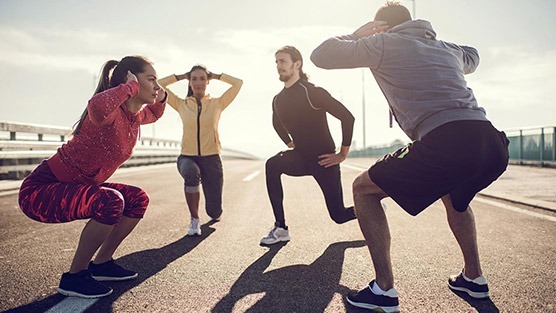 It’s long been known that a healthy lifestyle that involves less sedentary behavior and more physical activity has benefits to your overall health. Other studies have found that healthy activities can impact men’s health as well, especially in the case of prostate cancer risk factors, and the newest research study to reinforce that supposition has been published recently. Scientists from a number of Scandinavian research university hospitals analyzed existing data from the Nordic Occupational Cancer Study, revealing that there was a strong correlation between the physical demands of a patient’s workload and the likelihood that they would be diagnosed with a prostate tumor. Cumulative exposure to workload, measured by low, medium, and high levels of exposure throughout worklife, resulted in prostate cancer risk reduction of 10%, 12%, and 7% respectively, according to the study. Based on these results, which were sourced from nearly 240,000 prostate cancer cases and more than 1.1 million control cases in Sweden and Finland, it’s clear that physical activity can help you live a more healthy life. Combined with other healthy activities, such as eating a diet rich in an abundance of different nutrients, it’s possible to further reduce your risk of being diagnosed with prostate cancer. It’s important to note that this study focused on cumulative physical workload — the amount of physically demanding work that a research subject undertook throughout their entire career. This indicates that it’s not so much the intensity of the physical work — high levels of exposure provided the smallest benefit. Instead, it’s the consistent application of physical activity over a lifetime of work that seems to be the primary condition to meet to reap these rewards.